Wichita Montessori School: Holiday giving from our Wichita Montessori Families this 2013 season! Holiday giving from our Wichita Montessori Families this 2013 season! All of the wonderful donations given by our WMS families for those who need them this Holiday Season. Thank you to Naomi Shapiro for organizing these efforts this year. 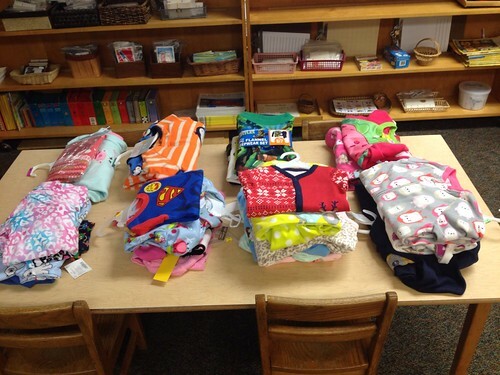 This year the Primary joined with Scholastic gather donations of warm pajamas. As you can see we have a great turn in for a first time effort by our families. We are so proud of how often and willing our families are to join our school to make these efforts such a success.